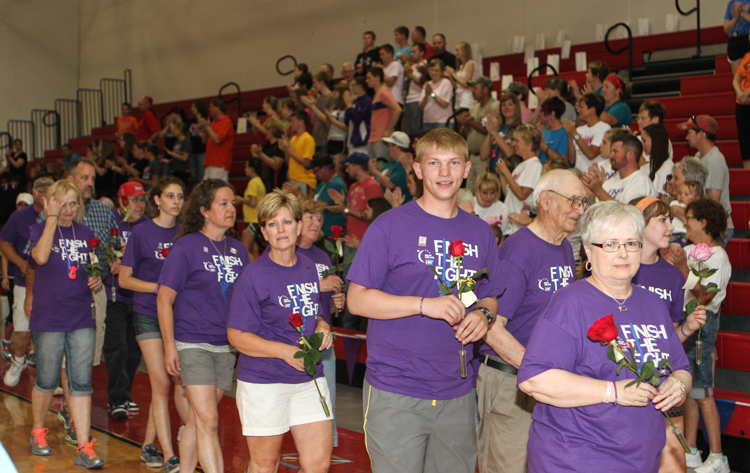 Gerald Kobs, left, Donna Kobs, Ann Kobs, and Brooke Kobs walk during the survivor lap Saturday at Relay for Life. Brooke and Gerald are cancer survivors. 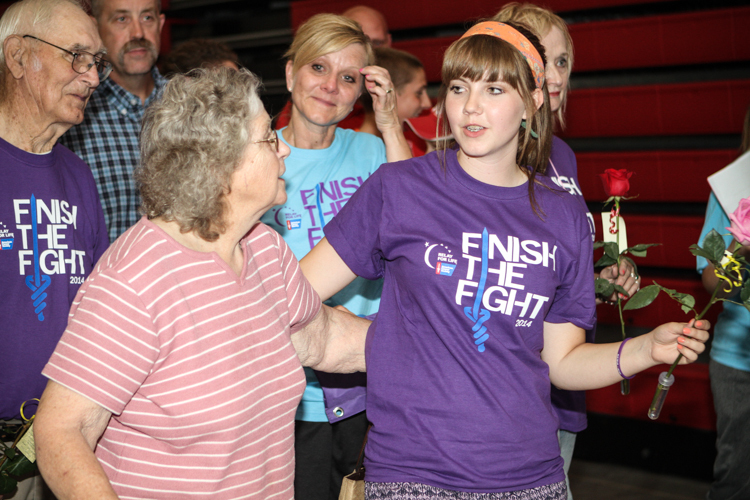 Due to the threat of possible severe weather, many of the Relay for Life activities were moved inside the Dana field house last Saturday evening. 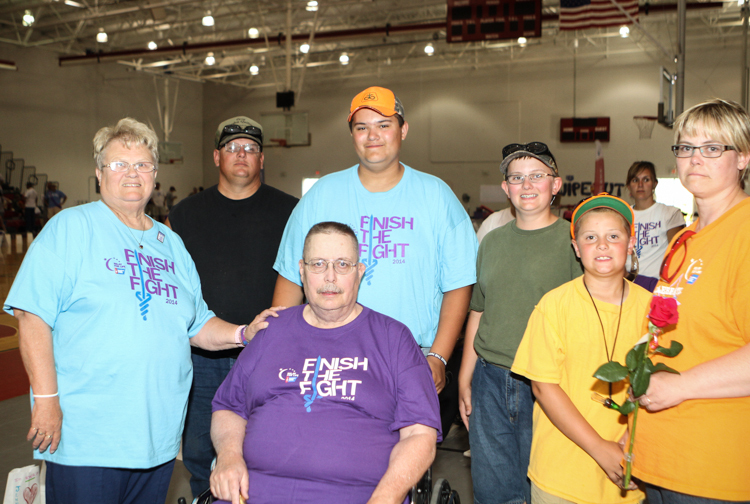 The 17 registered teams an 250 registered participants raise over $28,000 for help find the cure for cancer. Dragon Our Boots for the Cure, from left: Jenny Belt, Mick Boots, Pam Camden, Anne Camden, and Colby Olson walk in memory of Mary Boots and in honor of David Dragon. 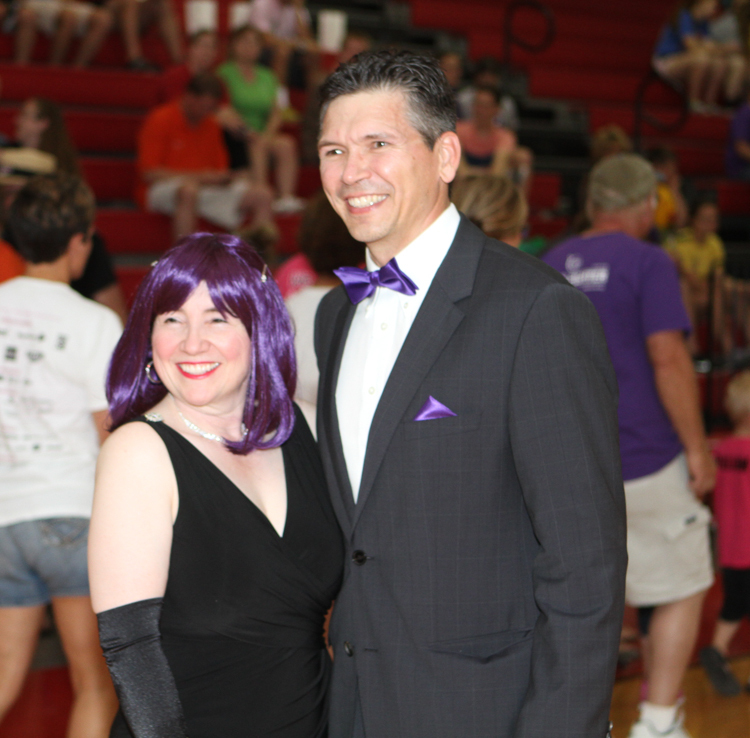 Orfa and David Link served as Masters of Ceremony for the Relay opening program. 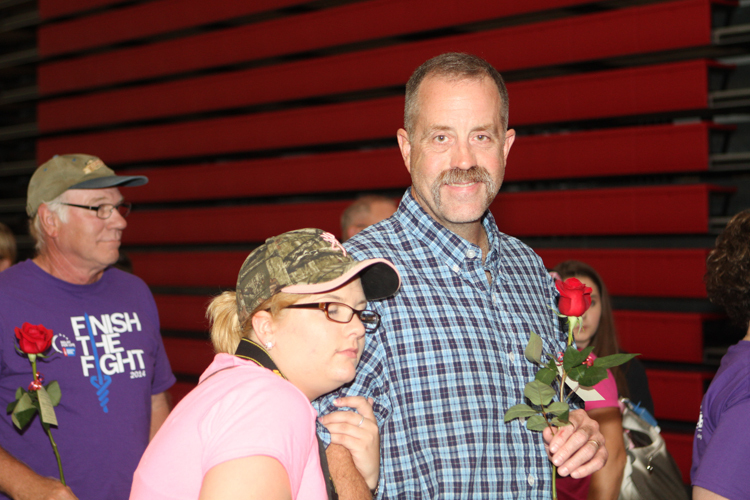 John Orr walks with his daughter Erin during the survivor lap. 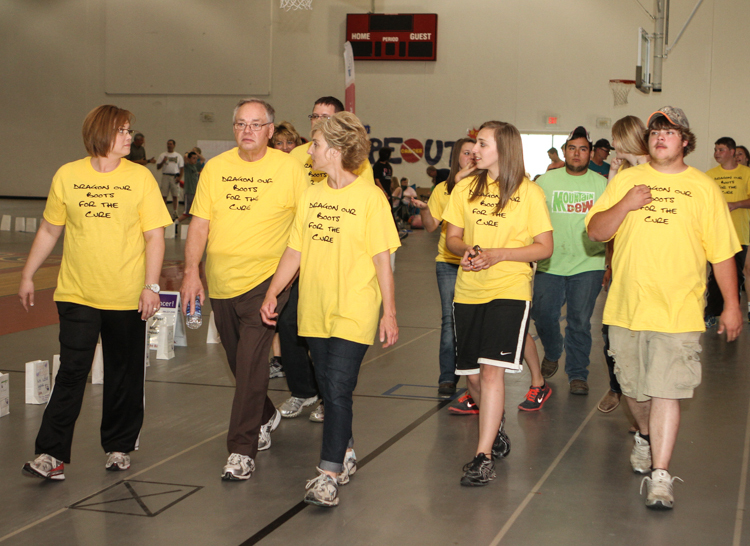 Cancer survivors walk together during the survivor lap.